On our third leg of our journey we boarded the train and headed to the end of the line. the main Phoenix Library and the Phoenix Art Museum. While most passengers got off we stayed put. We had more to do! at our end of the train to head back. The boys grabbed the seat right behind the driver. and we took a short rest. There is a CVS and a Subway very close. of the downtown high rise buildings. 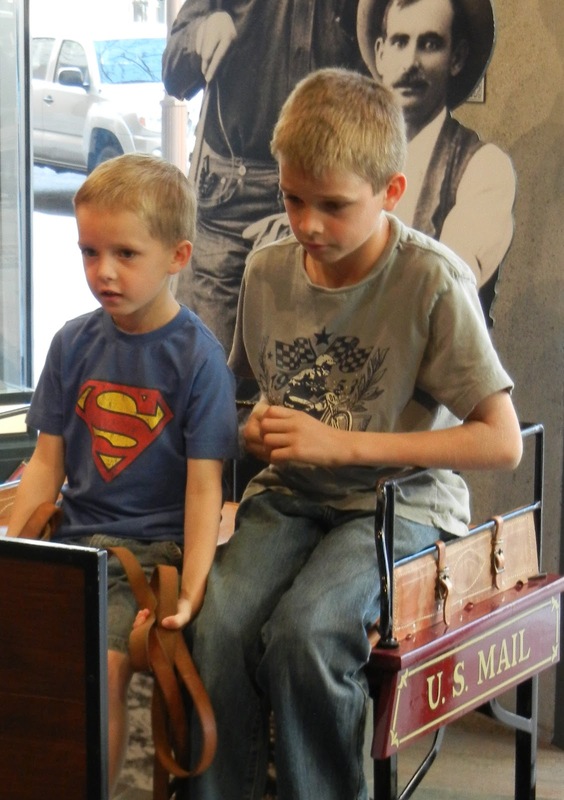 The Wells Fargo Museum is great for kids. It has free admission and lots of hands on activities. It was a real step back in time. Stagecoaches used to carry 17 people. The doll challenge showed just how tight the ride was. The boys loved every minute of our time. We were there for over an hour. but I loved that they were not a focus point of the museum. I presented my little gifts to them on the way home. exit by going through the gift shop. 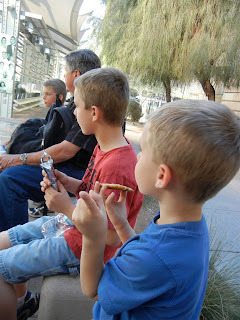 while we were waiting to catch the light rail back to our car. Oh how they would have loved to go check it out! we missed seeing it because it had moved. It has now moved to the address above. The boys didn't want our day on the rails to end. and many, many different kinds of people. stopping for a dinner of their choice on the way home. The boys talked about our day all the way home. completely worn out and ready to go to bed. with the little ones you love!